What with various motor racing commitments and research for the upcoming Le Mans 24 hrs, I seem to have been a little lax in my Facel Vega work, even if I have updated various things recently, including a list of articles that have appeared on e-Bay. 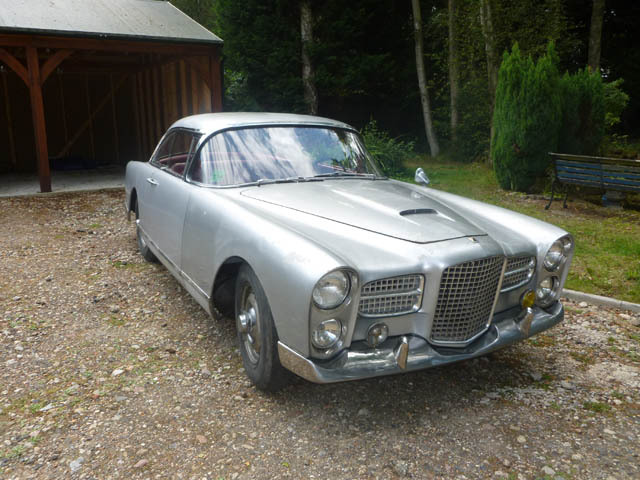 But things are rarely completely static on the Facel front and there are sales of cars, new parts commissioned and other bits and pieces to be covered, many of them researched thanks to our friends on the French site. A left hand drive HK500 is coming up for auction at Barons who operate at Sandown Park, Surrey, on June 15/16. This is chassis number HK-1 BV7, a fairly late car (I’m in Canada, I don’t have the valuable register at hand to check) which according to the vendor, was imported in 1990 from Boston. Since then it has been kept in dry storage. Some work has been done to get the car running, driving and stopping, and it is thought that with not too much work it will pass an MoT. And whilst the paintwork needs attention, the car could be used as it is. There is a picture of what is almost certainly the car on page 228 of Automobile Quarterly, Volume 14, no 8. It actually looks pretty good but it may not be quite so close up. The estimated price is £58-£64,000. Meanwhile our French colleague ‘Wilde’ reports that a company in the UK is currently interested in making Facel Vega spinners. Orson Equipment is based at Bilston near Wolverhampton and specialises in splined hubs and spinners. I’m not sure if the spinners they are proposing are for wire or solid wheels – there is a difference – but they look pretty good. 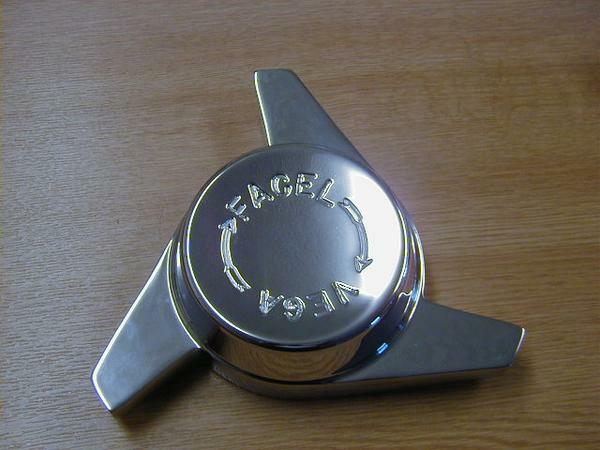 Prices for other spinners are around £70 each; no price for Facel ones advertised yet. The French site has got a little confused about two FV3s of varying vintages up for sale from two similar sounding companies. JB Classics, run by Jasper Beukenkamp, is a Dutch company which has a 1957 FV3 for sale and restoration. The car is in a poor state. JD Classics is an upmarket company in Essex which has the pristine ex-Trintignant 1958 FV3B for sale. Two very different propositions. Both are left hand drive, incidentally.